“Let’s Play” A Game Of Marketing. But Do Game Stores Win? Exposure Can Be Effective Marketing. But How Much, Is Too Much? The name, as far as I know, comes from the phrase “Let’s Play (INSERT GAME NAME HERE)” because that’s exactly what they are. It’s a video of someone else playing a game. The whole game sometimes, from start to finish, with commentary put over it. And I know that seems, confusing…baffling. I think there was even a South Park episode making fun of it at one point. But, it is a thing, and it is popular, and I am a fan. Which is why I thought I’d discuss this a bit. 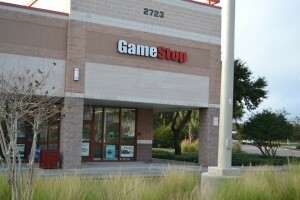 Because, if you look around Clearwater, you will see a few GameStop locations, and in Countryside Mall there’s also – in addition to GameStop – another store called GameXChange. And I wonder, how do Let’s Play videos affect those stores and their sales? Because there are two sides to this. The first is that these videos sometimes get upwards of a couple million views. And you would assume that’s gold, publicity-wise. It’s essentially a celebrity endorsement. It’s serious marketing potential. But the second, the flip-side, is that though more people know about the game, they might also feel no need to play it once they’ve seen it all. Like, when it comes to me, I’ve used Let’s Plays as a substitute for purchasing a game. And I imagine I’m not the only one. So, as you can see, it’s up in the air. But, there is one thing that leans me towards it being a beneficial marketing scenario. And that, is a digital download horror game called Five Nights at Freddy’s, which made its creator a stupid amount of money, and became one of the most popular choices for Let’s Plays. The game was so successful, it spawned three sequels. The Potential Is There. And I Think The Marketing Is Ultimately Beneficial. So, it’s yet to be seen how this will all play out. Perhaps, Five Nights at Freddy’s was an exception. Right time, right place. Or maybe this doesn’t translate to physical sales. Or maybe…it’s part of the opening act of something a little different. A form of art that is itself a marketing method. But, really, only time will tell.